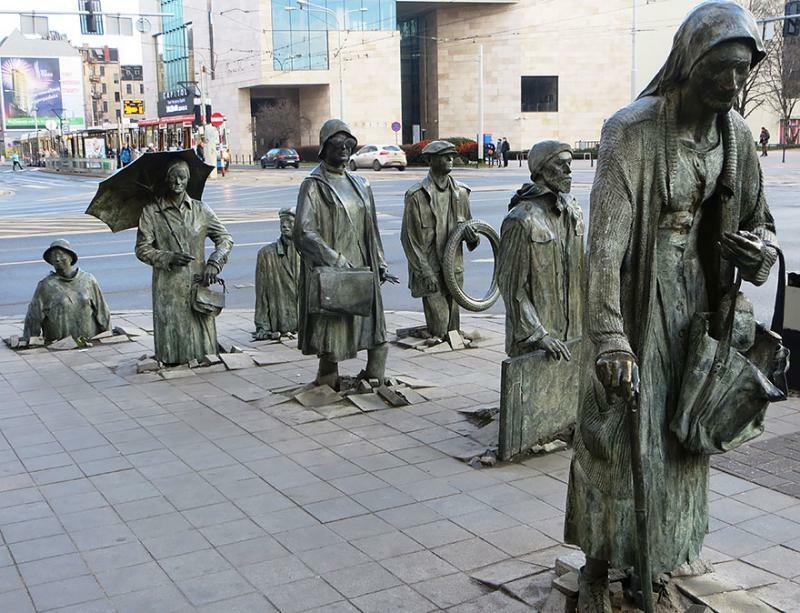 See some of world’s most impressive statues. - 3 years ago by Philip Boyad. 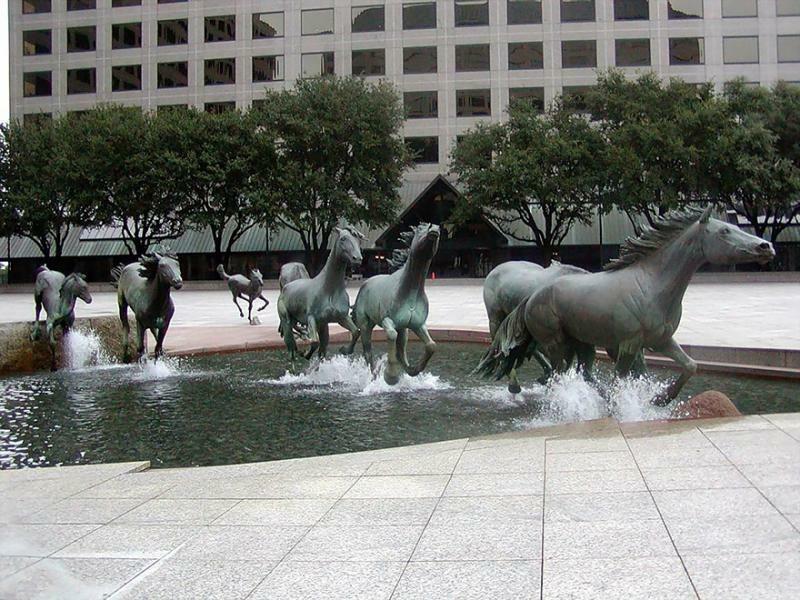 Every big city around the world has its own unique statues and sculptures. However, some of them can really make your jaw drop. 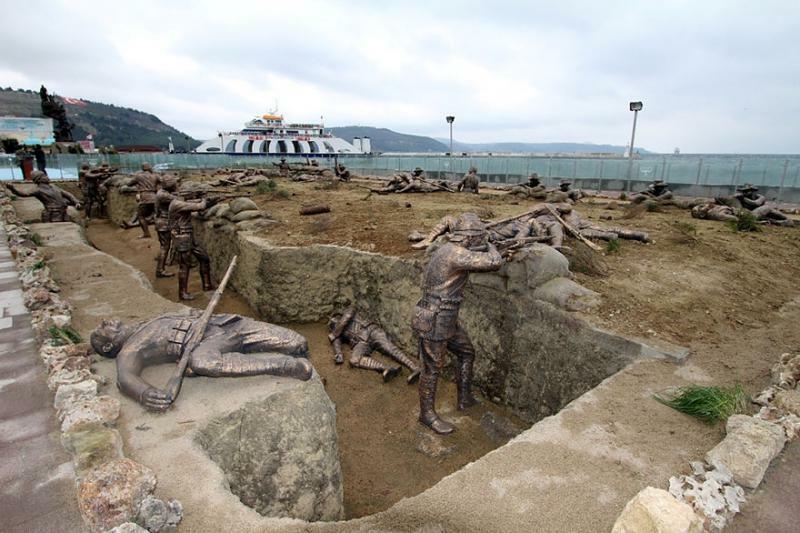 Here I will show you 25 of the most amazing sculptures and statues found all over the globe. 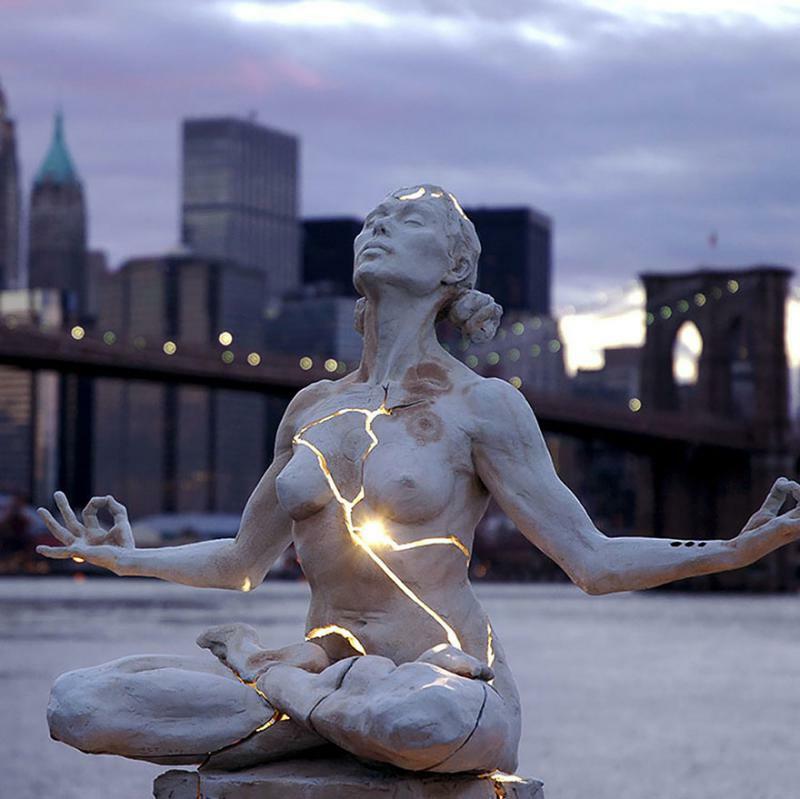 This incredible statue has been made by artist Paige Bradley. The sculpture itself is made of bronze pieces that float separately and in the middle, there is a light that makes a beautiful illusion. 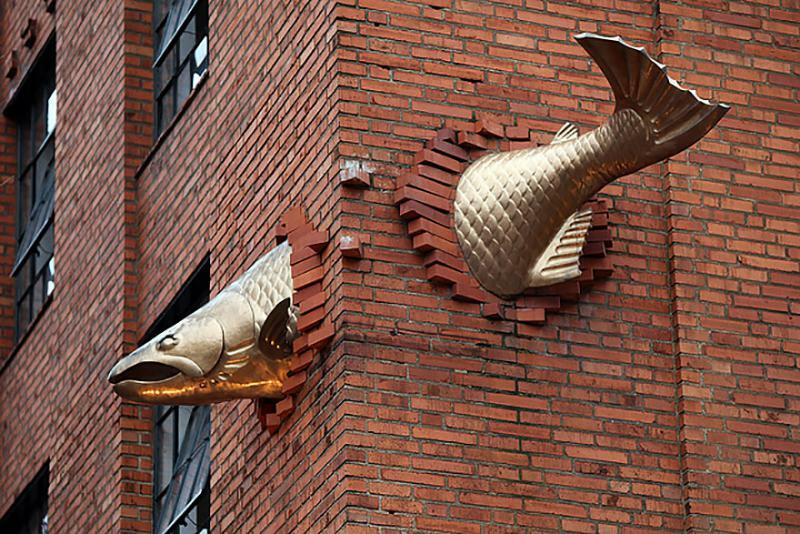 The Salmon sculpture is located on Salmon Street and it is ranked #34 out of 676 of Portland’s attractions. This is actually a memorial memorizing the Jews killed during the World War II. This statue has been built in memory of all souls lost during the Communist regime, which has been oppressing the Polish people for so many years. 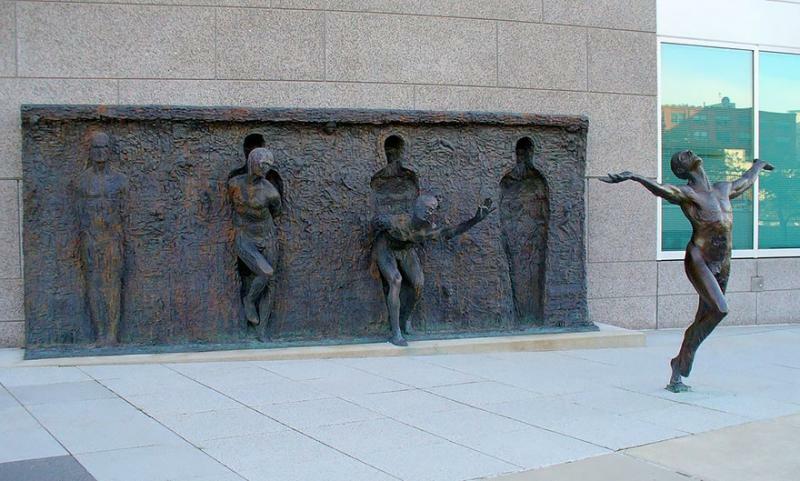 Zenos Frudakis created this sculpture to recreate the struggle of the mankind to break free from the matrix. 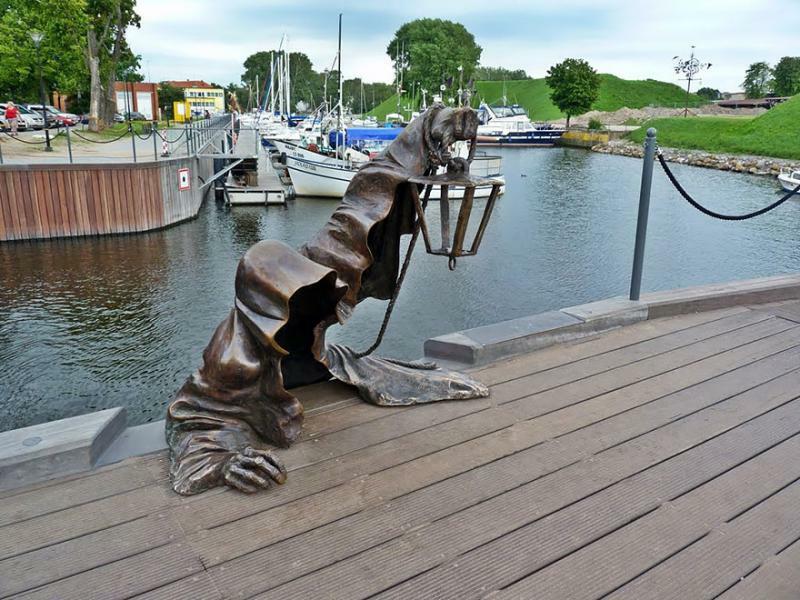 This scary statue of grim emerging from the water represents the Klaipeda, the oldest city in Lithuania. 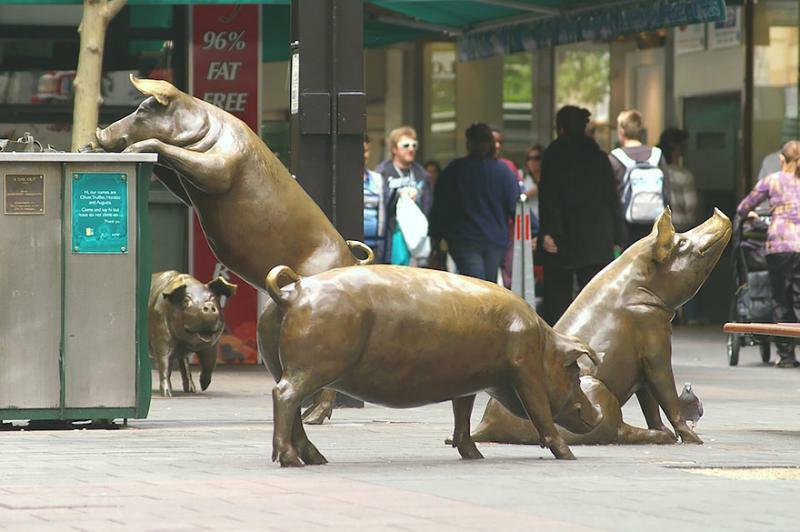 If you ever visit the Rundle Mall in Adelaide, you can take a picture with these cute statues of pigs. 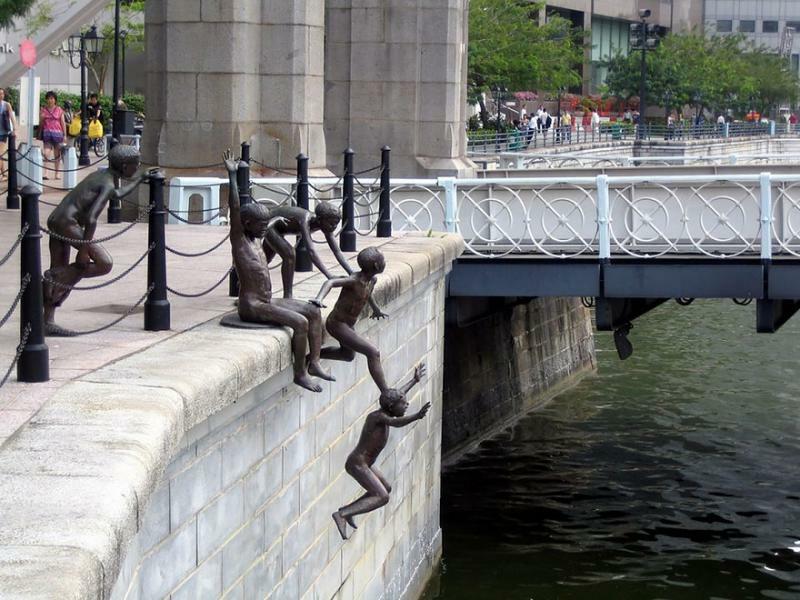 Incredible sculptures of kids jumping naked in the river by Chong Fah Cheong. 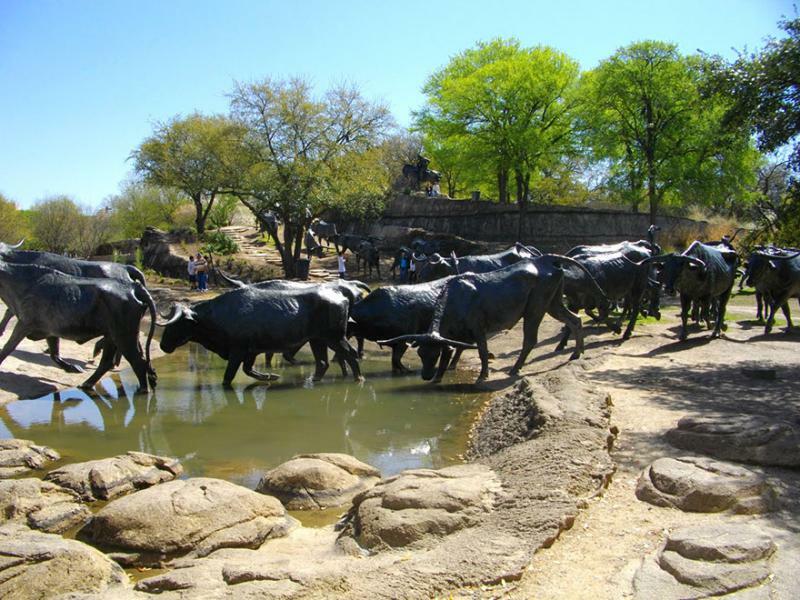 This statue represents the pioneer days of the States. 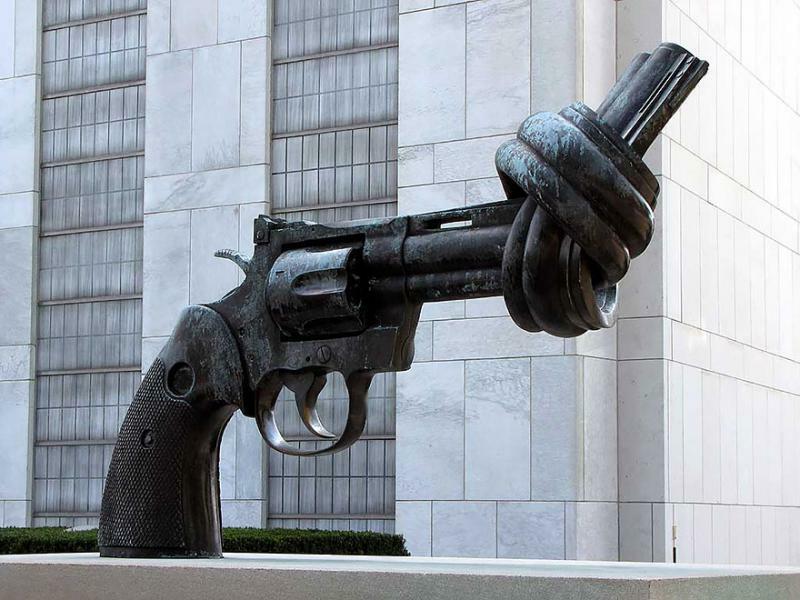 The knotted gun statue advocates for Non-violence and scandalizes the American gun walls. 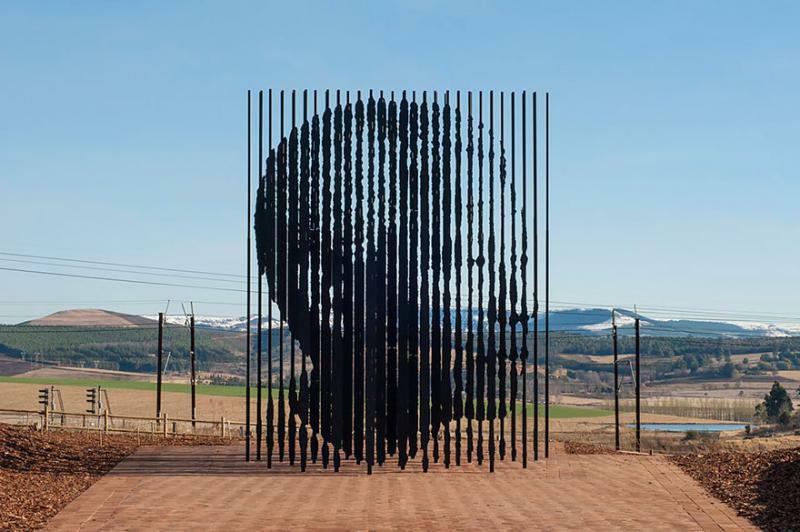 The South Africa’s government says that Mandela is not just a man, but the noblest man from history. 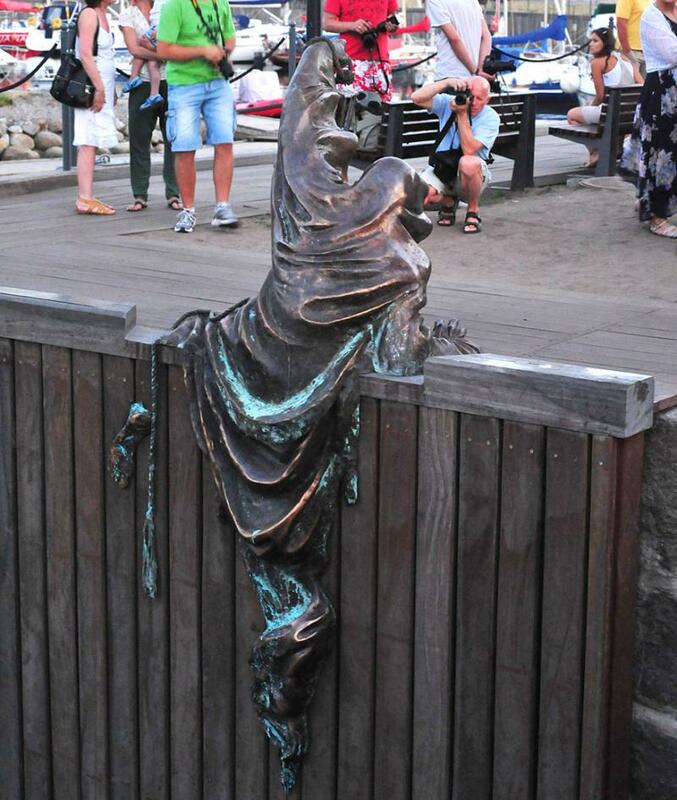 They honored him with this amazing statue. 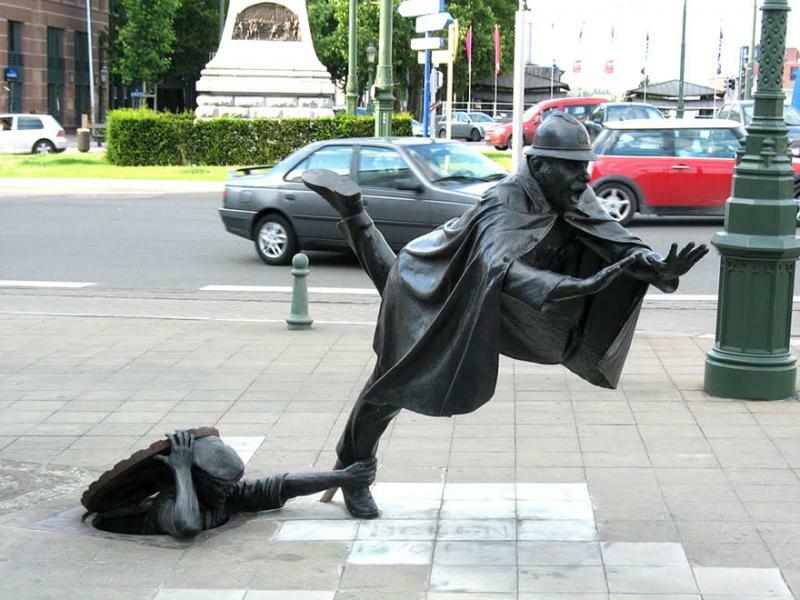 People of Brussels love this statue made by Tom Frantzen. 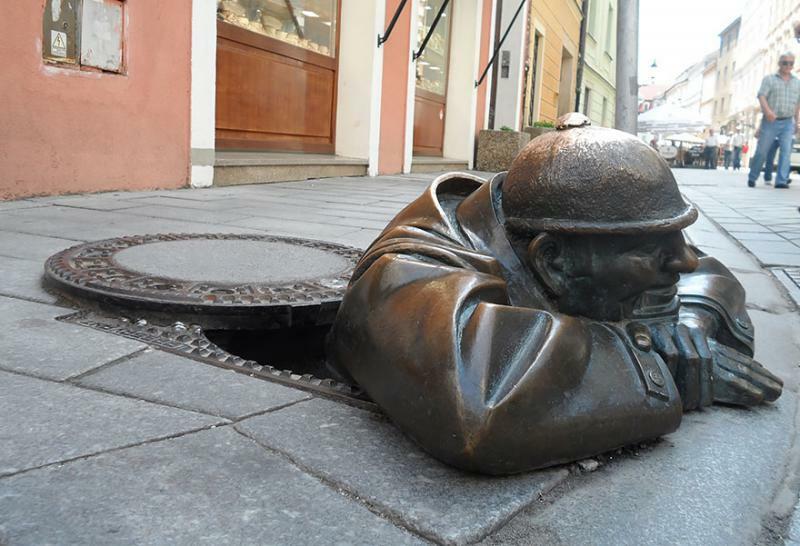 It represents someone rising from the sewer to grab the foot of a passing by the police officer. 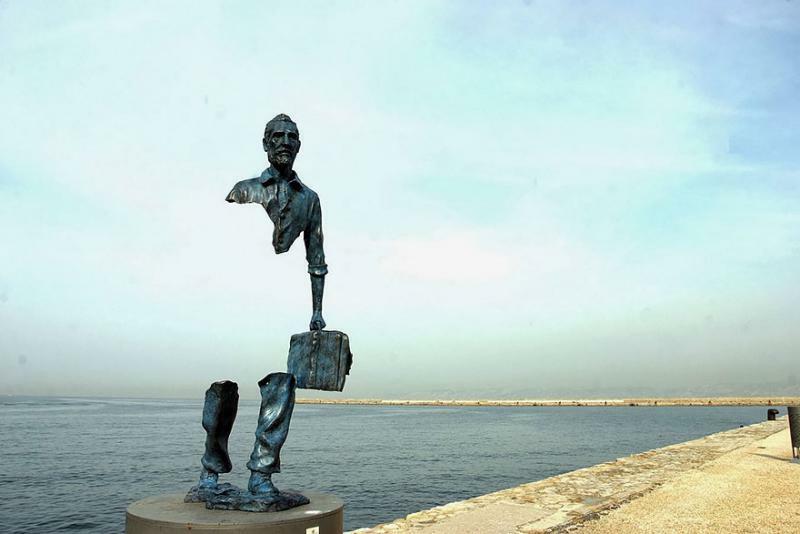 Bruno Catalano’s statues often feature working people missing large chunks of their bodies. 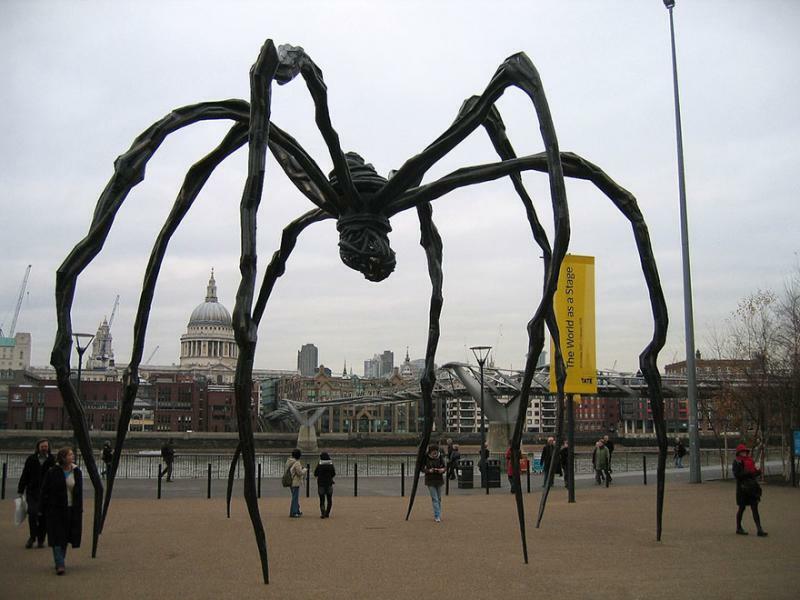 This beautiful and at the same time scary sculpture made by Louis Bourgeois rises 9 meters above ground. 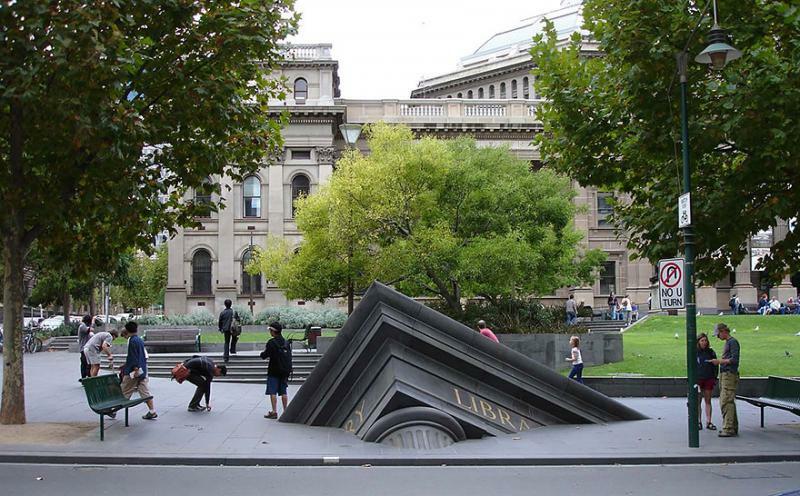 This sculpture looks like the State Library is sinking into the quick sand. 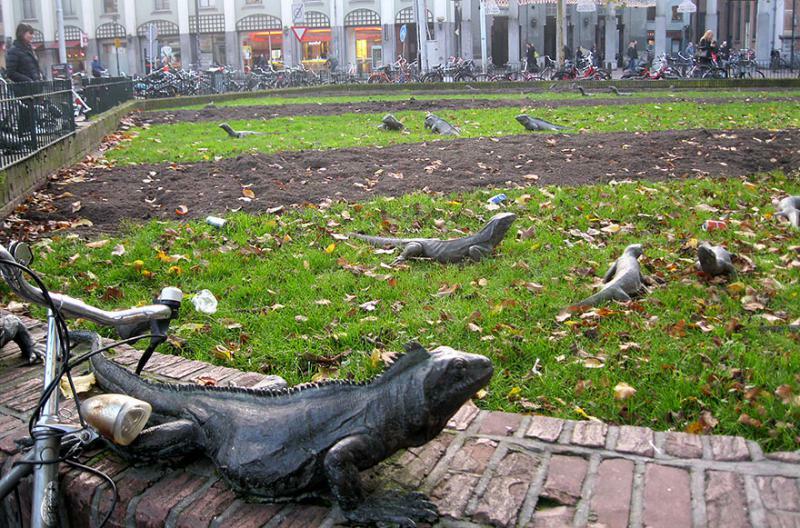 No matter if you like reptiles, you get a fresh kick out of all the iguana statues found in this park in Amsterdam. 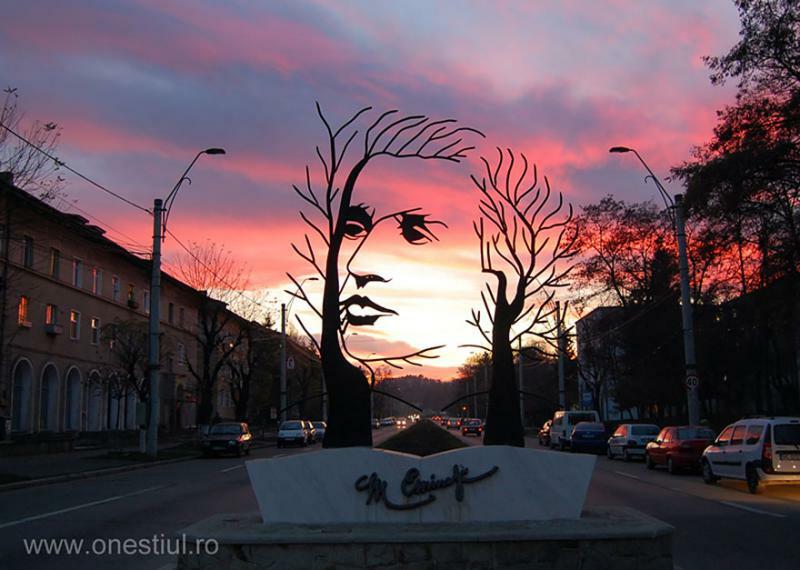 At twilight, this statue looks like it has been painted up against the clouds. 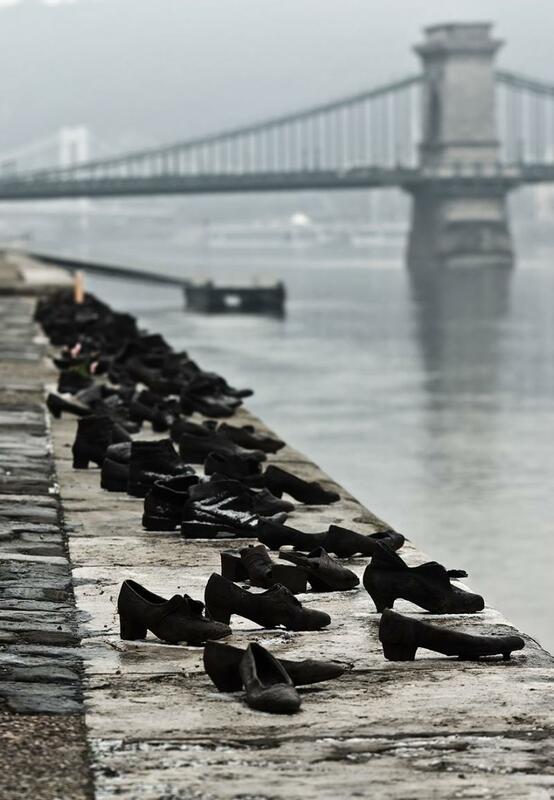 The victims from World Wars must never be forgotten. 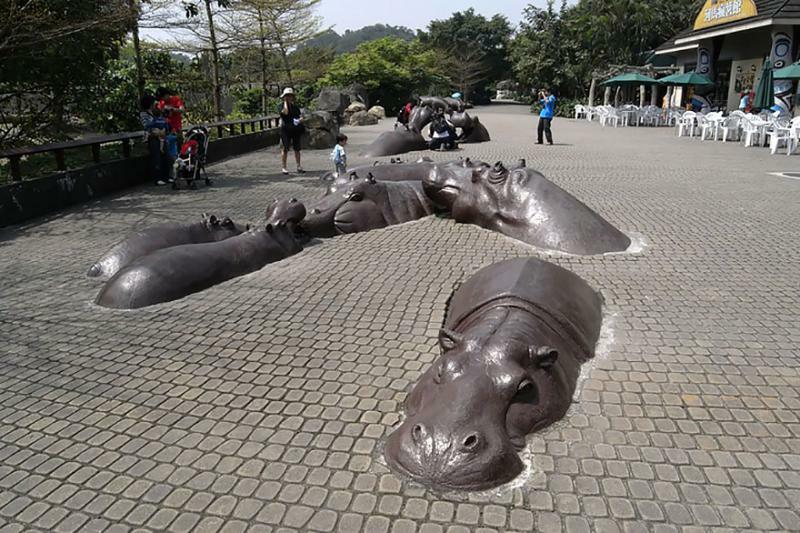 This amazing sculpture makes the pavement looks like liquid and the hippos look like they are alive. 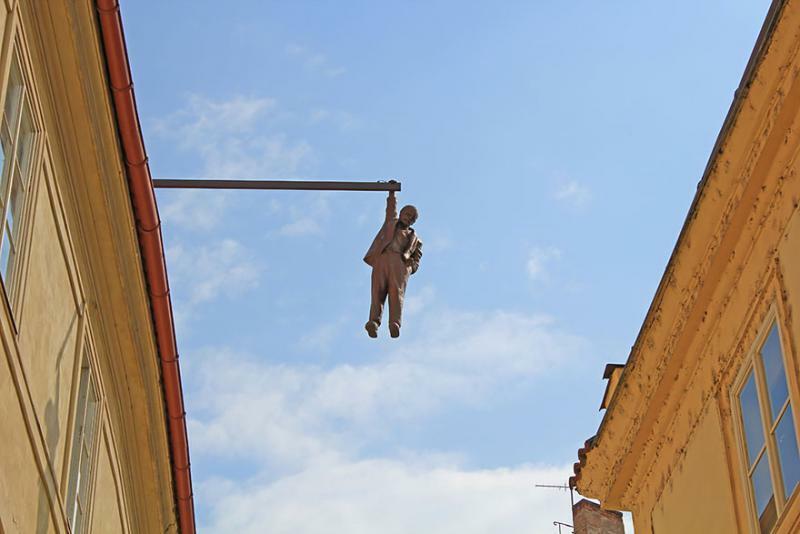 At first glance, you might get scared, but there is no room for panic, it’s just a sculpture of a man hanging from a building. 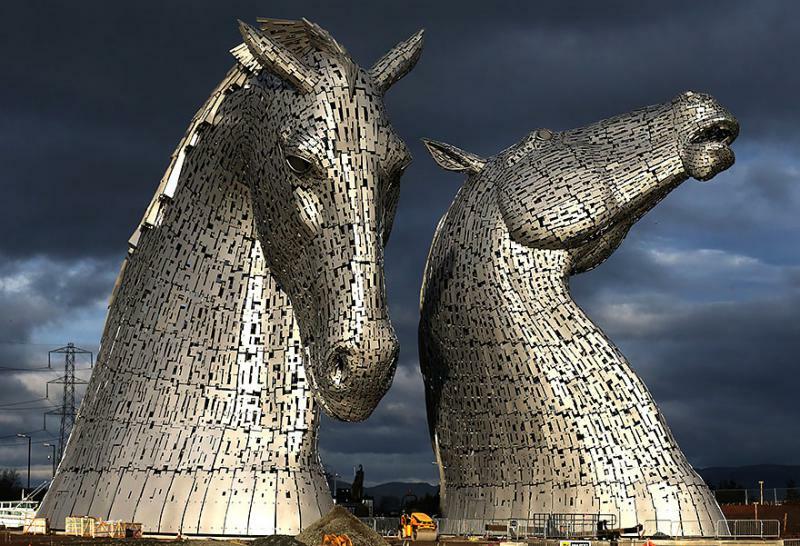 These stunning horse heads represent the wonderful world of unique history. 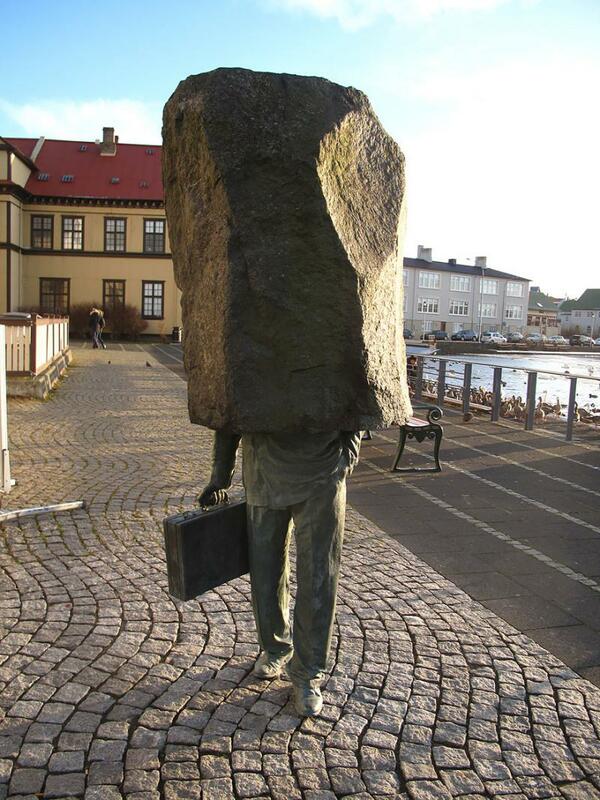 Well, you can see why this official is unknown, there is a giant rock covering his entire upper body. 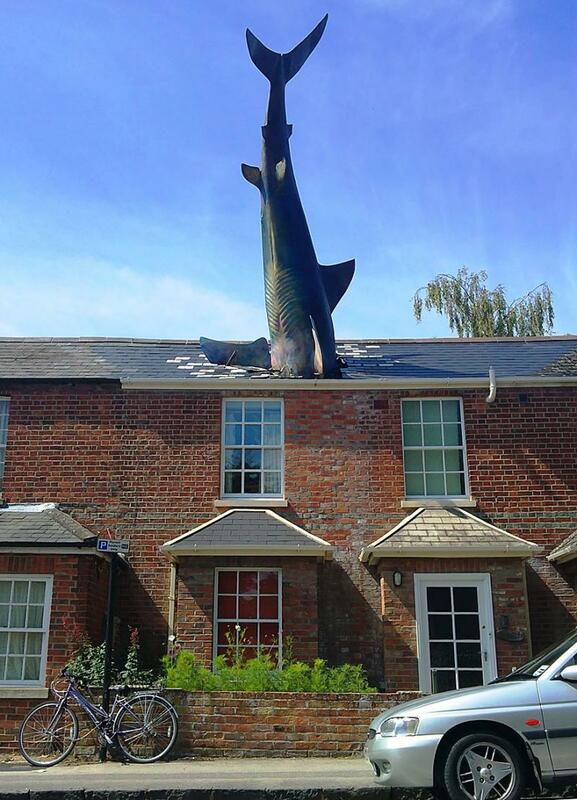 Giant shark crashing into the roof of the famous radio presenter Bill Heine.